That's what most people say about me: I'm the slowest reader ever. That hit a nerve and caused a laugh!!! I am NOT going to show this to Jazz. Our postperson does good work. haha sometimes the dogs are right. This was one of those rare times:) Grin. 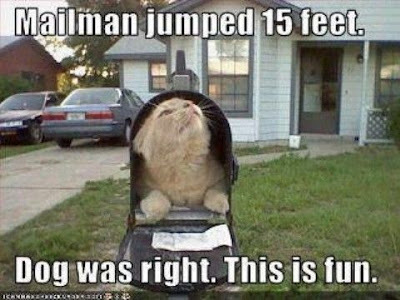 I think I'd jump as well if I found an animal in my mailbox. Absolutely loved each and every one of them!!! Smiling. Glad you enjoyed them, Adam. LOL! I love these. Super fun. Whoops. Hit the publish button before I was done. Those three cats look so smug. Most uplifting Sandra. thanks for sharing. grate cheezeburgerz today; LOL at number one ☺☺☺☺♥♥ !! 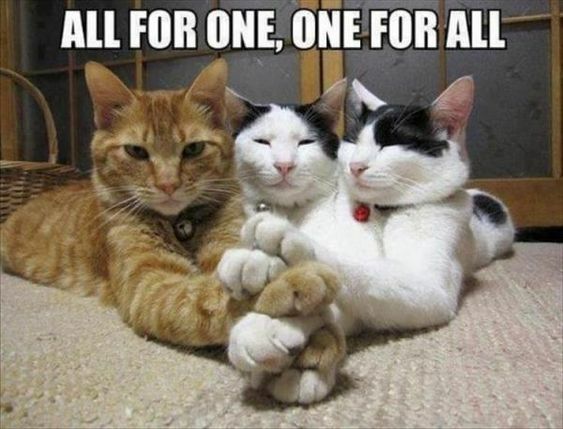 I suppose the last photo is set up, but it must have been very hard to get the cats to cooperate. Thank you for the smile! Loved all of these Sandra!!! So cute! I have to make a blog post soon! Again, I have been doing tones of yard work. The days and nights seem to be flying by! I'm trying to get fall stuff done already! LOL! But, in-between the rain and humidity, it's never ending! LOL! I had pizza again today! LOL! 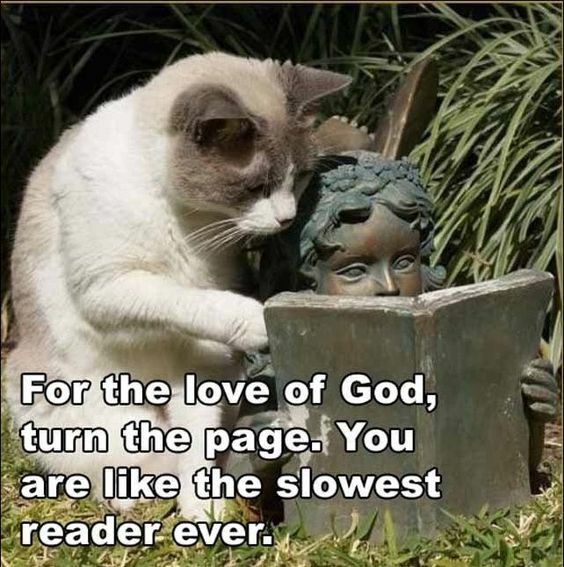 Slowest reader ever! Cracks me up!